By far the most enduring of the main types of German tank, the Panzer IV was specified as a medium tank in the 20-ton class, to be armed with a 75mm gun. The order to build the vehicle was awarded to Krupp, who initially proposed interleaved road wheels for suspension. However, the actual suspension used was much more simple: eight road wheels on each side suspended in pairs on leaf springs. 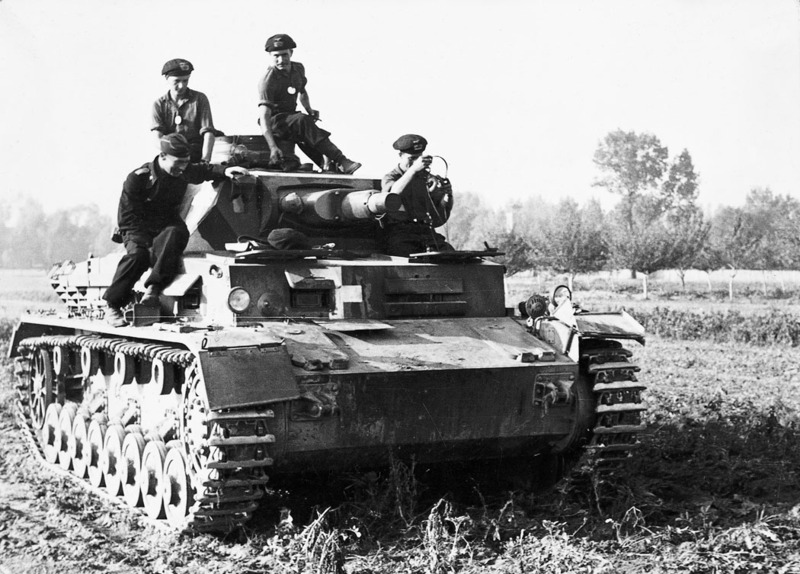 Like other German tanks of the period, the Panzer IV’s engine was located at the rear with the transmission led forward to the final drive via sprockets at the front of the track. The Ausf C, which was armed with the KwK 37 l/24 gun, incorporated a number of minor changes to the design of the Ausf B, including improved turret face, a new gun mantlet housing, an altered motor mount, and an armoured sleeve that protected the coaxial machine gun. Later, to extend combat life, additional armour plates were bolted to the hull and superstructure sides. An initial order for the Ausf C was for 300 vehicles, but only 134 were completed. Production took place between September 1938 and August 1939, and the Ausf C saw service in Poland in 1939 and the West in the summer of 1940. The vehicle remained in service until 1943, but by then numbers had dwindled drastically due to battlefield attrition.